This conservative Black Republican has her facts wrong. 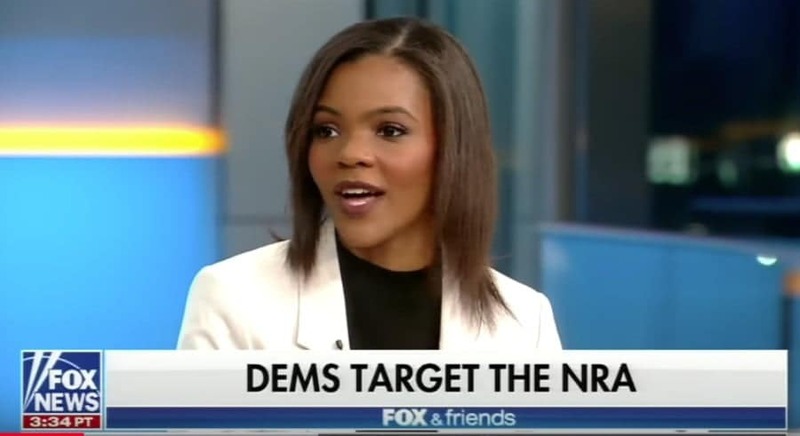 Candace Owens, the director of urban engagement for conservative student organization Turning Point USA, recently told Fox and Friends hosts that the National Rifle Association (NRA) was founded as a civil rights organization that trained Black people to arm themselves. “I happen to fall into the window of people that knows my history. I’m a Black American and I know that the NRA was started as a civil rights organization training Black Americans to arm themselves and defend themselves against the KKK, ” Owens claimed on the show. That’s an interesting (read: wrong) statement of facts. According to the NRA’s own website, the organization was founded by Union veterans Col. William C. Church and Gen. George Wingate in 1871 “promote and encourage rifle shooting on a scientific basis.” They were appalled by the lack of marksmanship their troops displayed and they wanted to foster shooting skills in everyday citizens from an early age. The NRA’s founding had nothing to do with Black people and certainly not with arming Black people. Owens is right though that the KKK was all about gun control when it came to Black folks. In the late 1800s, the KKK was an ardent gun control organization that actively sought to disarm African Americans who had recently bore arms fighting for their freedom in the Civil War. As far as the KKK being a gun control (and terrorist) organization in the 19th century, it was in ideological opposition to the NRA, but the NRA itself was never a steadfast champion of arming Black people. In fact, when members of the Black Panther Party exercised their second amendment rights by openly toting shot guns in the 1960s, the NRA was a very vocal advocate of gun control laws, specifically the 1967 Mulford Act, which prohibited citizens from openly carrying loaded weapons. The bill was a direct response to the Black Panther’s activity. The NRA is not and never has been an organization in support of Black civil rights. Owens, who is a new NRA member and a former Democrat, believes Democrats are playing the race card and doing Black people a disservice. “What the Democrats have been so successful at is wiping away history and re-writing it,” Owens told Fox and Friends after she just mangled NRA history. Owens says she wants to pull in the millennial vote for Republicans and she hopes to offer more conservative view points to college students across the country who she says are force fed liberal takes. No word on what office Owens has her eye on or when she would run.